This authentic Zealand farm (200m2) is situated on the same domain as apartment De Biezenpolder (NL-4529-01-28) but completely free with regards to the apartments with a private terrace. 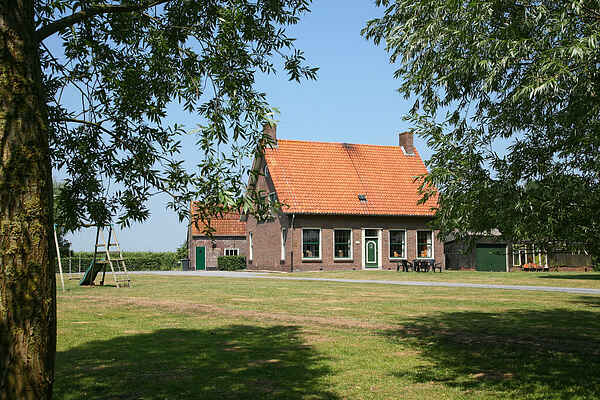 The surrounding is peaceful and rural and overlooks the beautiful orchards and polders. Various trips are possible: Damme (the town of Tijl Uilenspiegel), Aardenburg (Oldest city of Zeeland with archeological museums), Sluis (Belfort), Knokke (16km, fashionable spas) and Brugge (20km, Historic shopping city with cosy square). Even endless hikes and cycling in this beautiful and rural surrounding.